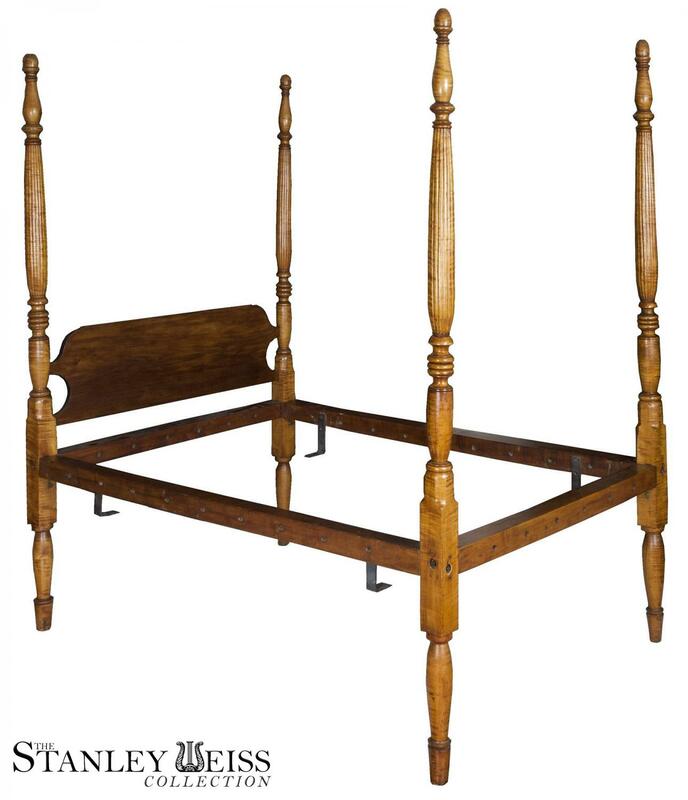 This is a beautifully turned tiger maple bed with reeded columns. Tiger maple beds are hard to come by, and this one has nicely turned posts with the traditional pine headboard. The rails are original. Please note the additional images which express the quality. L-Shaped brackets were installed so that the top of the mattress has a reasonable height. Mattress: 76 in. x 48 1/2 in - 54 1/2 in.